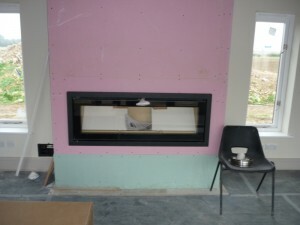 A second fireplace installation request from a client in a property in Essex. Our clients also wanted a solid fuel contemporary fireplace in their accommodation wing of their barn conversion. This fire also had to have a visual impact from outside the building as the walls were all glass. 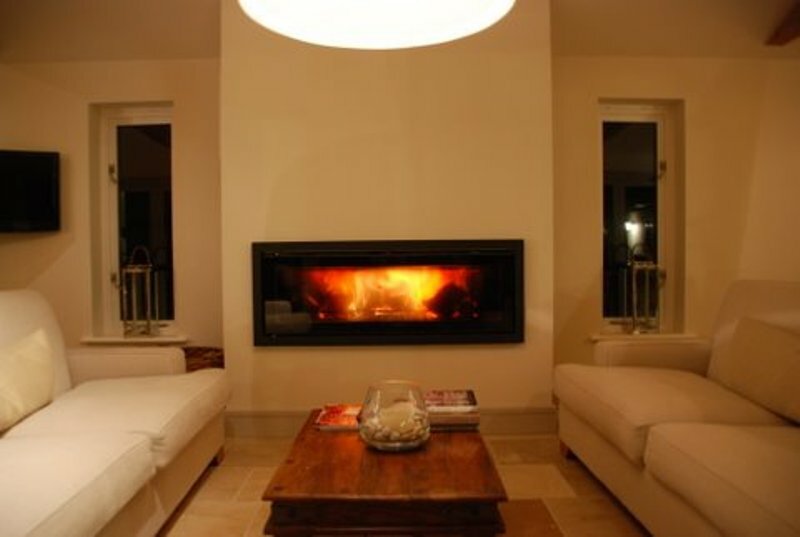 We recommended the Stovax Riva Studio 3 inset wood burning fire. It may have seemed small compared to the Jetmaster installed in the barn, but on its own it is a spectacular and extremely powerful fire. 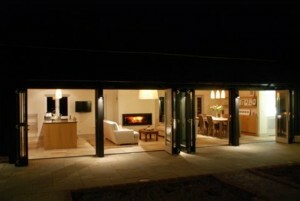 Also it is highly efficient and has a glass front. 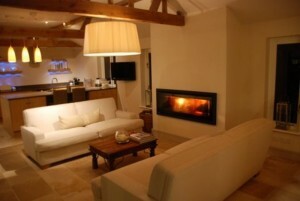 The images of the finished room show the fire in all its glory. 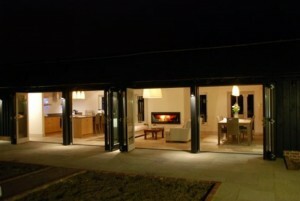 Overall, the clients were a pleasure to work with and were extremely pleased with both fireplaces. Over the period of 6 months from start to finish, the clients commended us for the speed of communication, the value of our expertise and the attention to detail. 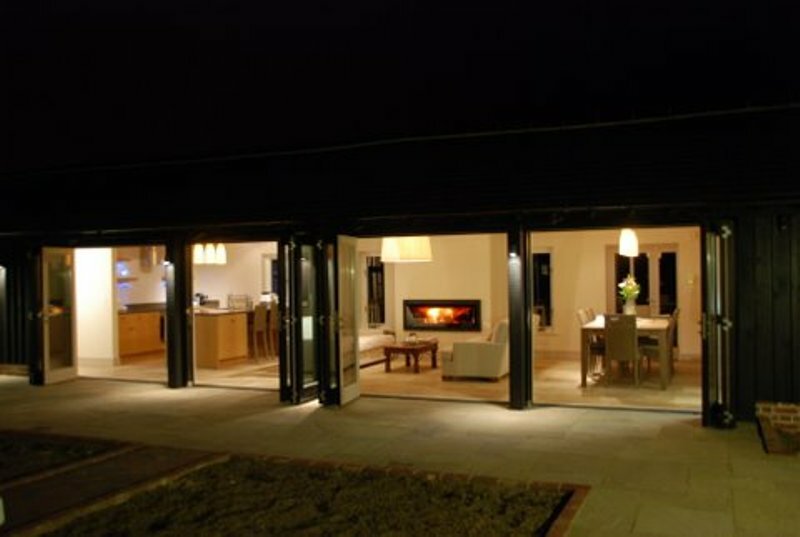 A successful installation project for The Billington Partnership.